HBOX is an over-the-door iris-based identity management system. Our flexible design accomodates multiple mounting environments from mobile stands, fixed frames and wall mounts to new construction and existing retrofit configurations. 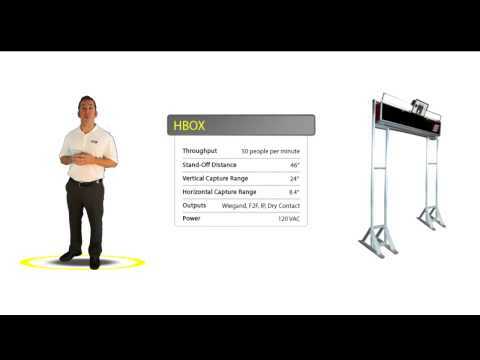 HBOX throughput delivers up to 50 people per minute and is ideal for environments such as airports, stadiums and construction sites. The device easily integrates with all industry standard access control platforms and serves as an electronic physical access control system. The robust HBOX system hardware is complemented by SAMBI® (biometric solution) and BioTag® (biometric matching) software, delivering a self-contained end-to-end solution. Enrollment & Matching "On Board"